Export Portal helps export companies promote their business globally by posting product catalogs and company profiles in our global e-marketplace. If you are interested in buying high-quality French products and services, you have come to the right place. Or if you are a French exporter, you are invited to post your "made in France" products to boost your business and find global importers. France is considered to be one of the EU's main exporters with everything from automobiles to raw commodities, holding an important position as the fifth largest trader in the world. The essential commodities exported by the country include chemical products, machinery and transportation equipment, aircraft, pharmaceuticals, cars & vehicles, consumer products, and many others. It is a well known fact, that the French are deeply connected and proud of their cheeses. As well they should be! Being the second largest global exporter in quality farm products, the country in question is justly renowned for producing some of the best wines in the world, the finest cheeses or high-quality wheat. 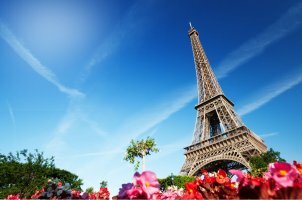 The French government continues to provide considerable subsidies to its agricultural ensuring increased export activities. You don't have to travel to France to buy the finest cheeses in the world. Export Portal allows you to browse online the most complete collection of products and goods cultivated or made in France directly from point of origin. We stock Cheese Manufacturers, Global French Clothing Suppliers, Wine Sellers in France, Aircraft manufacturers of France, and many others. Join Export Portal now to find the best deals with low prices on high quality products, to find business partners or to showcase your business and products throughout the world. Export Portal is a trade portal for exporters and manufacturers – helping them conduct business over Internet. The portal helps sellers and buyers locate each other, negociate directly, transact business and share information. If you are interested into importing goods into France, explore our catalog of numerous products and get the most out of the Imports of France product range from the comfort of your home or office. With referance to French imports, France is the second largest importer in Europe. The first place on France's import list include crude and refined petroleum. Cars and cars spare parts represent about 5 percent of the country’s imports, while pharmaceutical products occupy the 3rd place with 3 percent, followed by computers and medical devices. France main imports are fuel, electronics, chemicals, metal products, industrial and agricultural machinery, cars, food and clothing. Shipments from Europe account for 58 percent of total imports. Main import partners are Germany, China, Belgium, Italy and the United States. Export Portal is your one stop destination for finding and contacting Global Suppliers and Manufacturers to import products easily and safely to France. Source for Cars & Parts Manufacturers, Manufacturers & Suppliers of Pharmaceuticals, Personal Computer Manufacturersand many others. 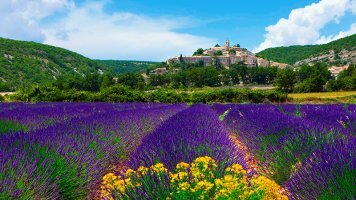 France is a country located in western Europe, bordered by Belgium, Luxembourg, Germany, Switzerland, Italy, the Mediterranean Sea, Monaco and Spain. The country also has maritime borders with the United Kingdom. France is a developed country, being the 6th largest economy by GDP and one of the most active participants in the international trade. It is a member of the United Nations, European Union, Group of 7, Organisation for Economic Co-operation and Development and the World Trade Organization. Within the EU, products originating in the EU community move freely, being exempt from customs formalities. France follows all the EU requirements related to exports and imports. The country uses a harmonised trade system of the EU and applies customs tariffs in conformity with the EU Common Customs Tariff. Certification, labelling and packaging follow the EU rules.